The Resort Villa is excited to become a nominee for the 2018 World Luxury Hotel Awards in the categories of Luxury Hideaway Resort, Luxury New Resort and Luxury Villa Resort. The World Luxury Hotel Awards has been one of the pinnacles of achievement in the luxury hotel industry with prestigious recognition globally. 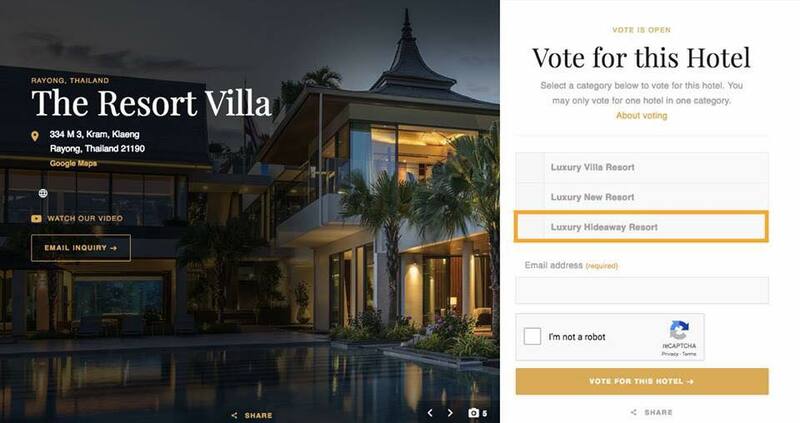 To help followers better understand why The Resort Villa would be the candidate to vote for, here is a little summary of what this luxurious resort villa in Thailand has to offer. gym, full-service spa, home cinema, 15m long aquarium and much more. 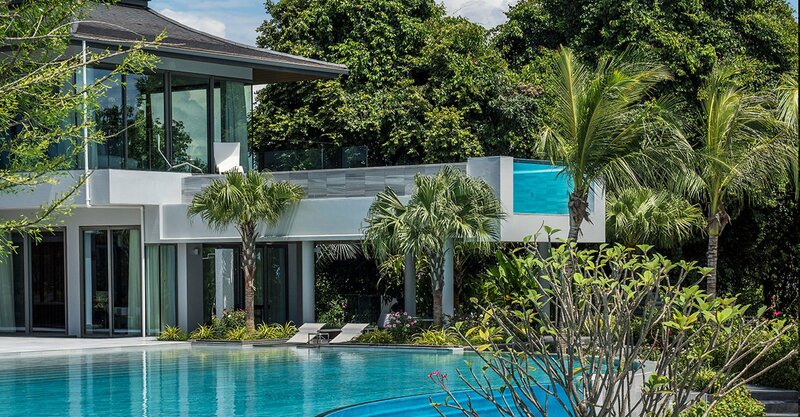 The expansive property is a private haven exclusive to the group of up to 14 guests, with access to various water toys, nearby attractions and even a PADI license certification course. A perfect destination for families and friends for special occasions such as family trips, birthdays, and anniversaries – the meticulous staff at The Resort Villa will ensure guests have unique experiences tailored to their heart’s content. 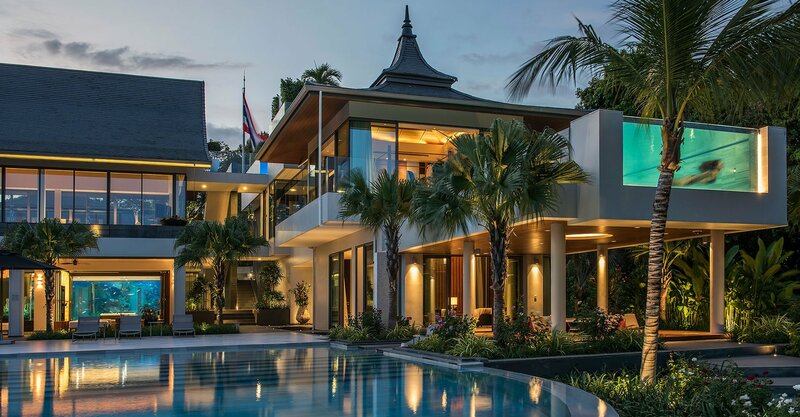 With private chefs that create sumptuous dining menus inspired by fine French dining, Thai, and other Asian favorites, The Resort Villa invites guests to go on a divine gastronomical journey. 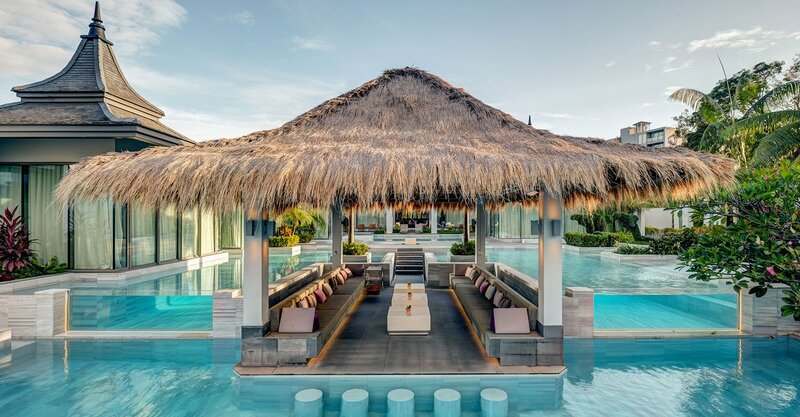 Last but definitely not the least, The Resort Villa’s dedicated spa specialists and facilities offer a pampering menu ranging from Thai massages to manicures and deluxe facials. 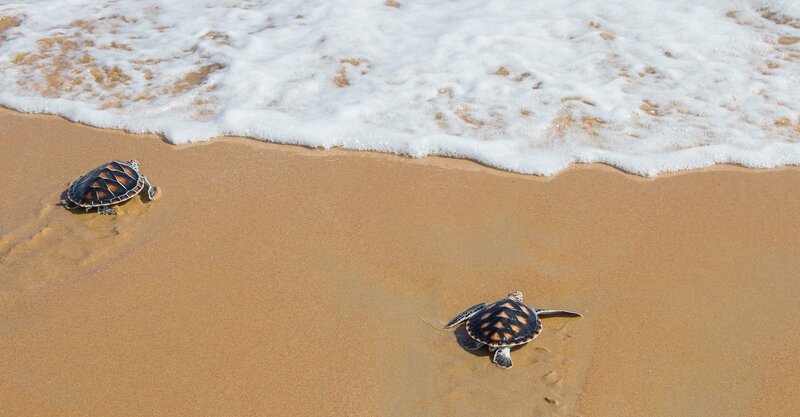 In addition to the ultra-lux property, services and activities, The Resort Villa is very environmentally conscious and takes action by continuously investing in efforts such as setting up a solar farm to conserve energy and installing anchor points in the harbor to reduce coral damage. The resort even has its own farm and herb garden so that guests can enjoy organically grown ingredients. 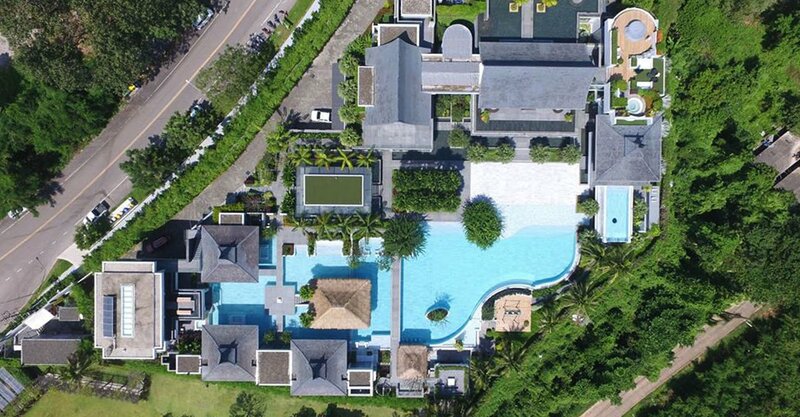 Located in the non-touristy area of Rayong Thailand and surrounded by secured perimeters, The Resort Villa is more than capable of offering luxury in complete privacy. 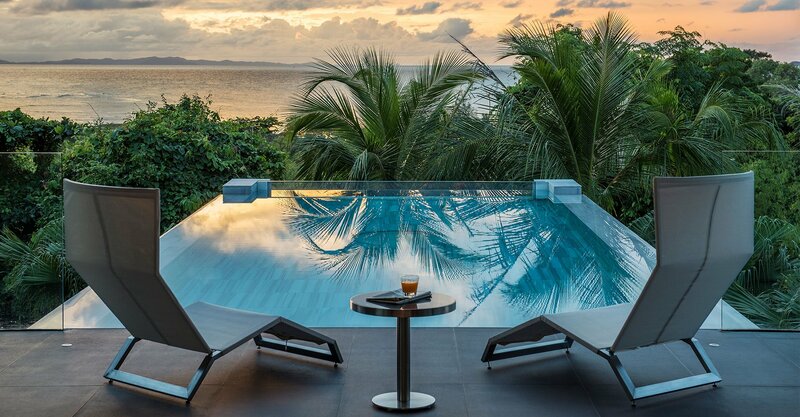 So for those who are seeking a luxury hideaway in a tropical paradise, look no further than The Resort Villa.